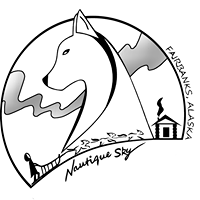 Sponsor “your” dog from the Nautique Sky Kennel and follow “your” dog throughout the year including the competitive races of the Copper Basin 300 and Yukon Quest 1000! Your annual sponsorship will go directly to the dog of your choices as they train and race throughout the 2018-2019 season. I am only allowing one sponsor per dog, to allow you to have a close connection to “your” dog of choice! Each sponsor of a dog will be rewarded with a Nautique Sky Kennel logo T-Shirt, the identifier dog tags they wore during the race, shout-out to you on social media and personal updates about “your” dog throughout the year! Thanks for the anonymous sponsor of Canuck.